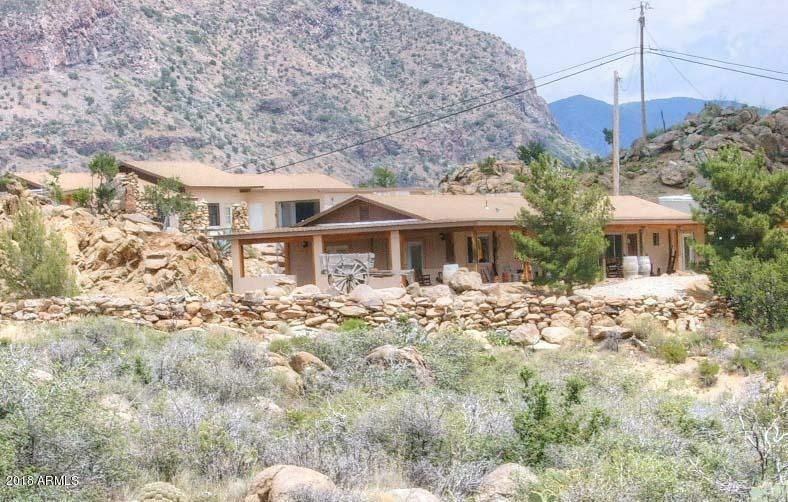 All Yarnell homes currently listed for sale in Yarnell as of 04/22/2019 are shown below. You can change the search criteria at any time by pressing the 'Change Search' button below. 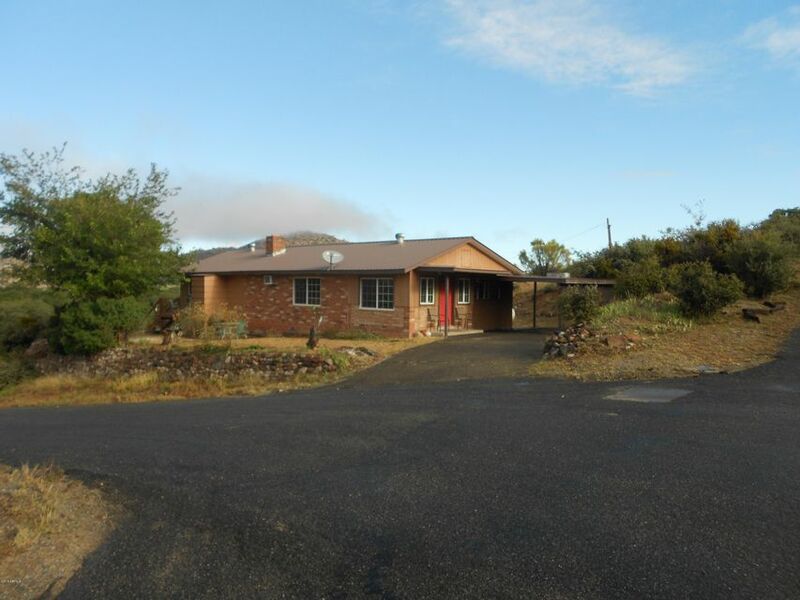 If you have any questions or you would like more information about any Yarnell homes for sale or other Yarnell real estate, please contact us and one of our knowledgeable Yarnell REALTORS® would be pleased to assist you. 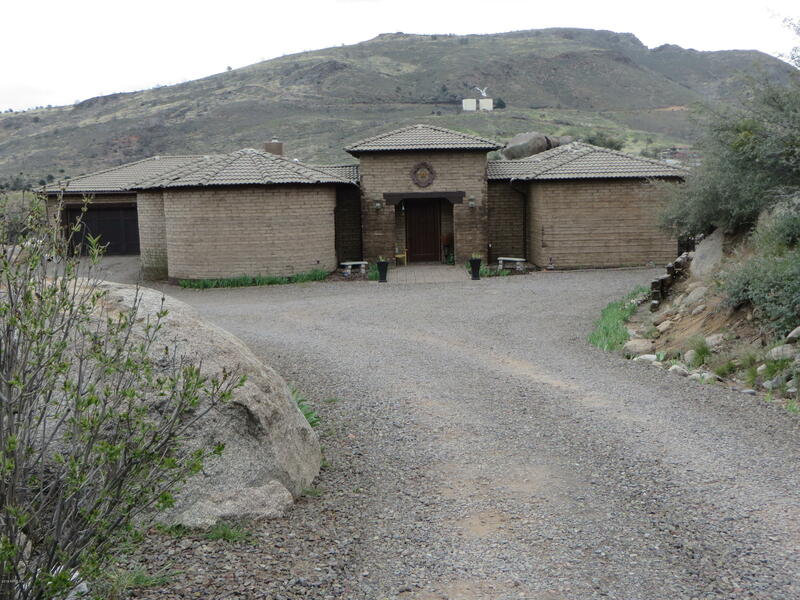 "This unique true Adobe home on 8 private acres with boulders and mountain views boasts amenities galore. Quality and elegance throughout with a new Architectural 30 year roof. A screened portico separates the two wings and Casita. A 2-way fireplace warms both the kitchen/dining and the family rooms. The commercial gas range in the gourmet kitchen comes with 6 burners, large griddle and two ovens as well as hood with heat lamp. 17.5 cu ft each of refrigerator and freezer space, quiet Bosch d"
"An incredibly historic property with million dollar views. 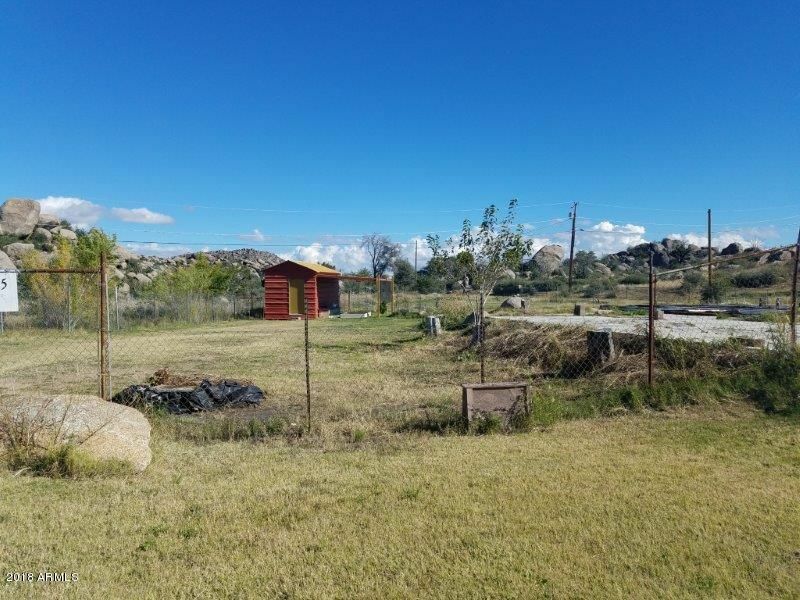 Nicly updated 3 bedroom main house and a 2 bedroom guest/bunkhouse, your own reconstruced ghost town, RV hook ups, room for horses and access to BLM land. Part of the old abandoned Hwy. 89 runs through theh property and includes an old, original rest stop (way station) from the 1920s. Cyrrently zoned residential, but rezoning or use variance could turn this property into your dream restraunt, retreat, spiritual center to name a few. " "No expense was spared in this highly efficient EF block home which is fire, wind and sound resistant, and has R40 insulation qualities. 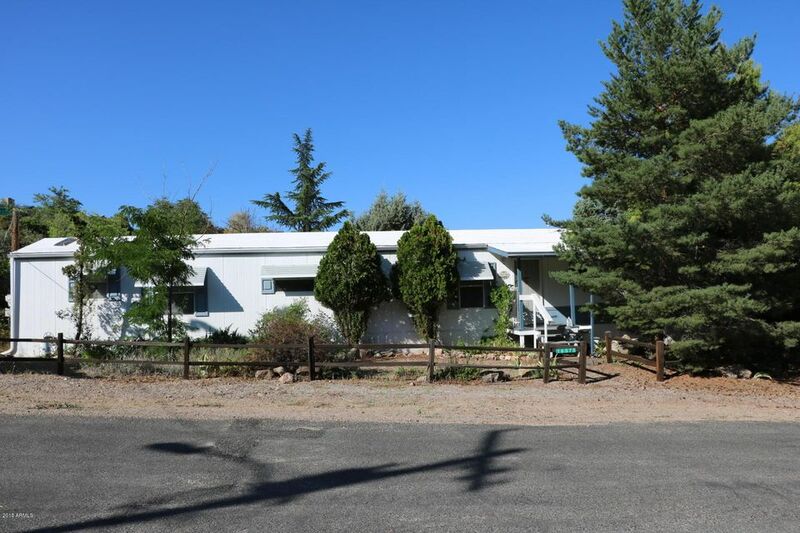 Great room with vaulted ceilings 2 large bedrooms, 2 baths, beautiful spacious custom walk in shower in master, copper sinks in bathrooms, large windows in every room with mountain and boulder views. RV parking with hook ups, attached 1.5 car garage with insulated door and electric garage door opener cute 10x14 storage shed that matches home. 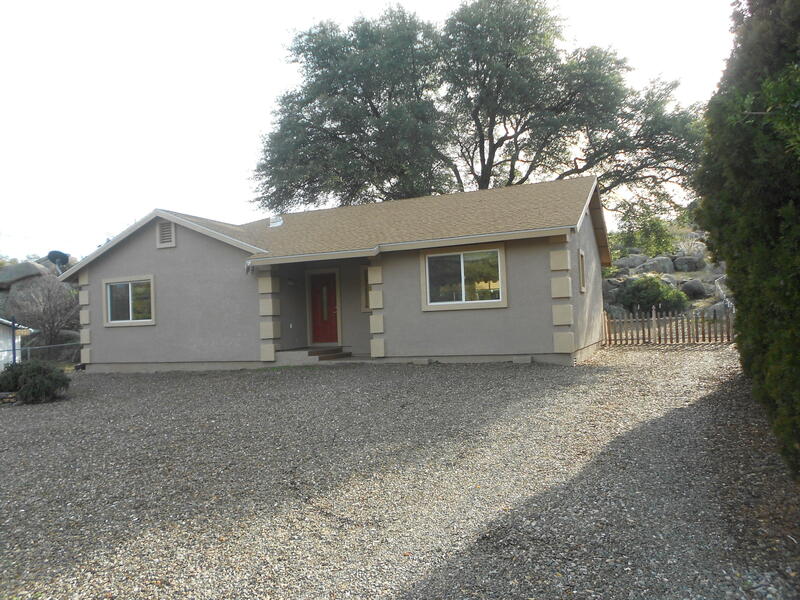 This home is well"
"Nicely remodeled 2 Bedroom, 1.5 bath home with office area, dining nook, breakfast bar, inside laundry and pantry. Split bedroom plan with covered porches. Skylights and ceiling fans. Convenient residence while you operate your commercial or retail business out of the 1280 sq. ft. renovated Commercial Building with updated roof, electric, HVAC, partitioning and voice & media installations, 6 solar tubes. Covered parking for 2 in the separate storage building. Large parking lot with 4 parking s"
"New in 2014, New carpet!! Sparkling clean and move in ready. 2.39 acres , boulders, privacy, quiet!! Large kitchen with 2 dining bars, plenty of counter area, built in oven and microwave, plenty of storage. Inside laundry with exit to backyard. Garage with cabinetry. Storage shed. Front porch with railing front and back yard are clear and ready for landscape of your choice. Walk in closets, blinds, gorgeous cabinets, light and bright." "A WELL MAINTAINED HOME WITH MANY UPDATES IN LAST COUPLE OF YEARS. GLEN ILAH IS A POPULAR AREA IN YARNELL AND YOU WON'T BE DISAPPOINTED WITH THIS ONE. 1680 SQ. 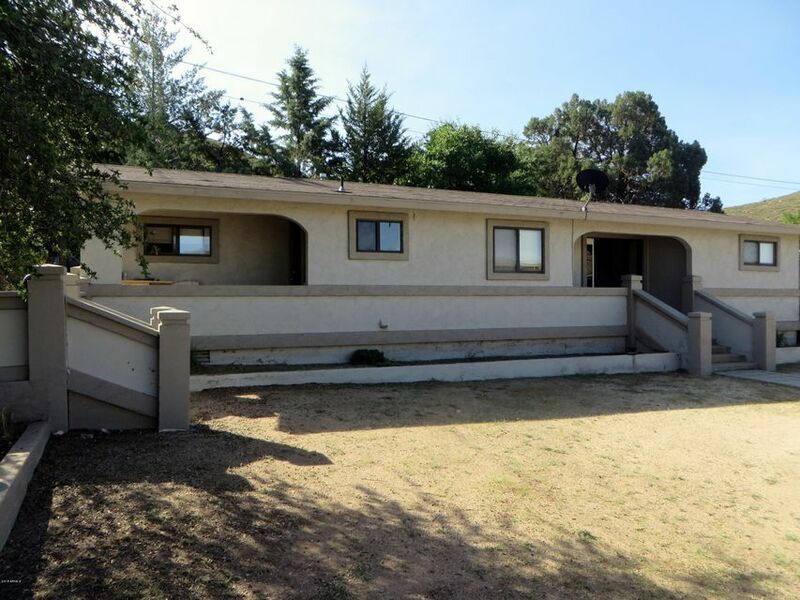 FT.*, 3 BD/1.75 BA* SEPARATE OFFICE ,OPEN FLOOR PLAN,* NEWER FLOORING,* ROOF* PAINT * GARAGE DOOR * STORM, SECURITY DOOR AND HOT WATER HEATER MAKES THIS HOME A GREAT INVESTMENT. PRETTY VIEWS WITH MULTIPLE SHADE TREES, ALL FENCED, RV PARKING, PAVED ROAD, PRIVATE SETTING AND FOUR MILD SEASONS ARE INCLUDED AT NO CHARGE. 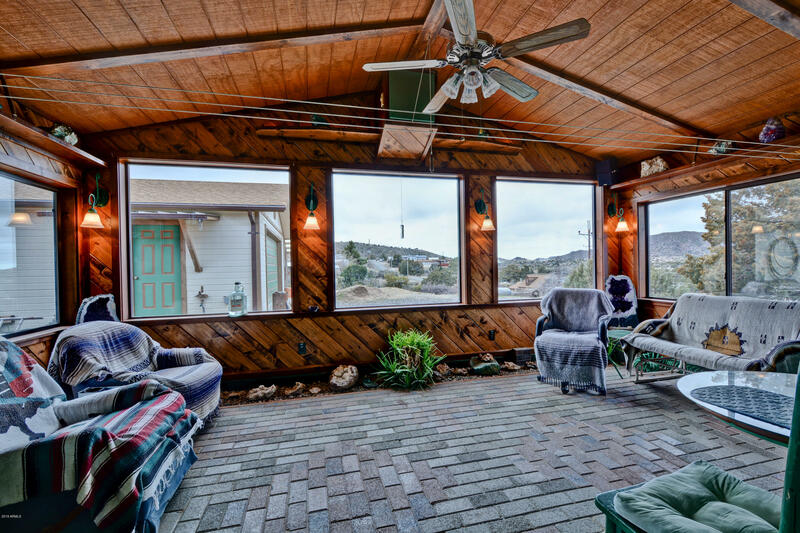 YOU REALLY NEED "
"Hilltop, ranch-style home overlooks the quaint town of Yarnell w/ fabulous mountain views. Enjoy amenities galore in a tranquil, rustic setting. Custom touches abound. Loads of storage space. Beautiful sunroom brings the outside indoors for peaceful R & R. 24 x 28 detached garage / shop equipped w/ water & 220 amp. Greenhouse for year-round growing. Two large patios on the south & westside of home provide plenty of space to sit & enjoy nature, but also entertain family & friends. 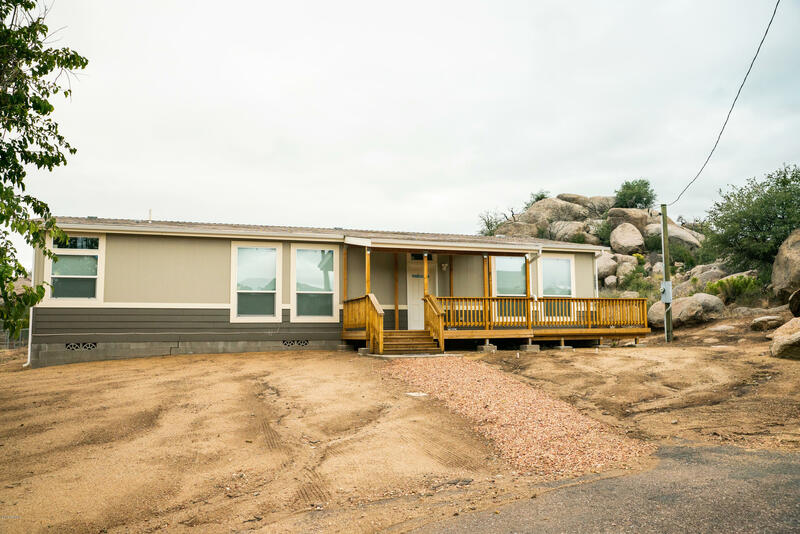 And the solar h"
"This 1,332 Sq Ft home is just the perfect full time home or special get a way!Spacious open floorplan with walls of windows looking out to the boulder strewnbackyard is the awesome backdrop. Nice sized kitchen, Breakfast bar. Upgradedcabinetry. Wood flooring thruout. Inside laundry room. Master bath with walkin shower. Huge walkin Master closet. Solar tubes in bathrooms.Custom window treatments.Backyard features nice shed, Oak trees,Lot's of boulders. 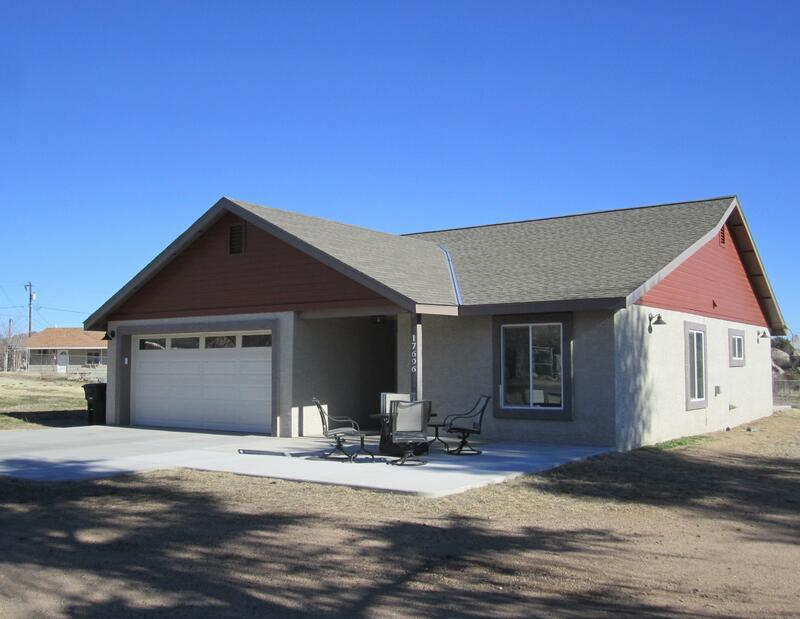 Situated on one of the nicest streets in Gle"
"Pride of Ownership shows in this cute wellmaintained Yarnell home with many upgradedfeatures. 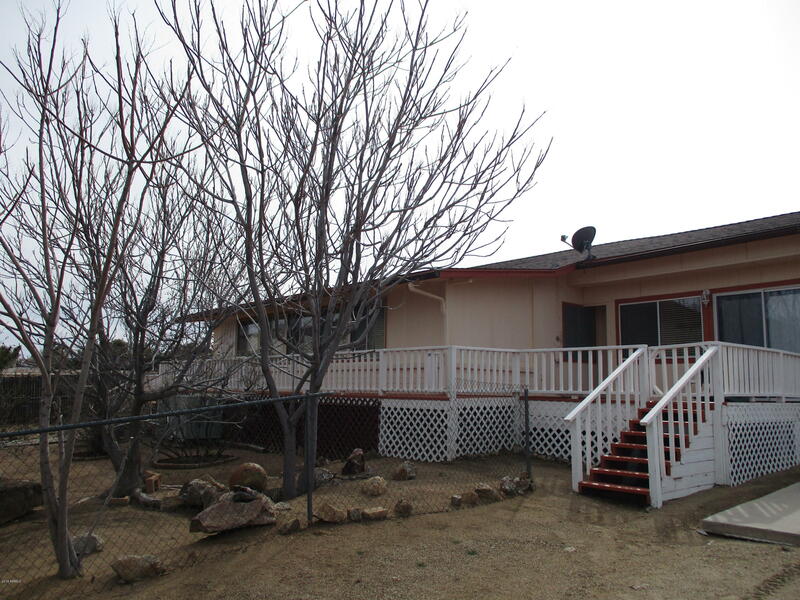 Perfectly situated on a corner double lot with views of Yarnell, Boulders & Mountains. In a past life it started as 1960'smobile home then a really nice living room and master bedroom addition plus a solidfoundation underneath and a metal roof added. Updated kitchen w/tiled counter tops. Open spacious dining room overlooking private side yard. A separate little building has laundry hookups & hot water "
"Escape the summer heat and come see this nicely remodeled mobile home. Perfect for permanent residence to weekend getaway. Sold with or without furniture." "Perfect time to purchase a getaway!!! Buyer come finish this home and put your special touches on it. This is a hidden jewel!. .61 acres of flat, usable land. Priced to sell. 20x8 Storage shed with 20x8 covered carport with metal roof. Property is fenced with chain link fencing. 2 double gates for your RV. Currently home is being built and has the subfloor in. 4 ft crawl space underneath.Building plans have been approved, permitted and will be given to the buyer. Home will be approx. 579 sq ft "